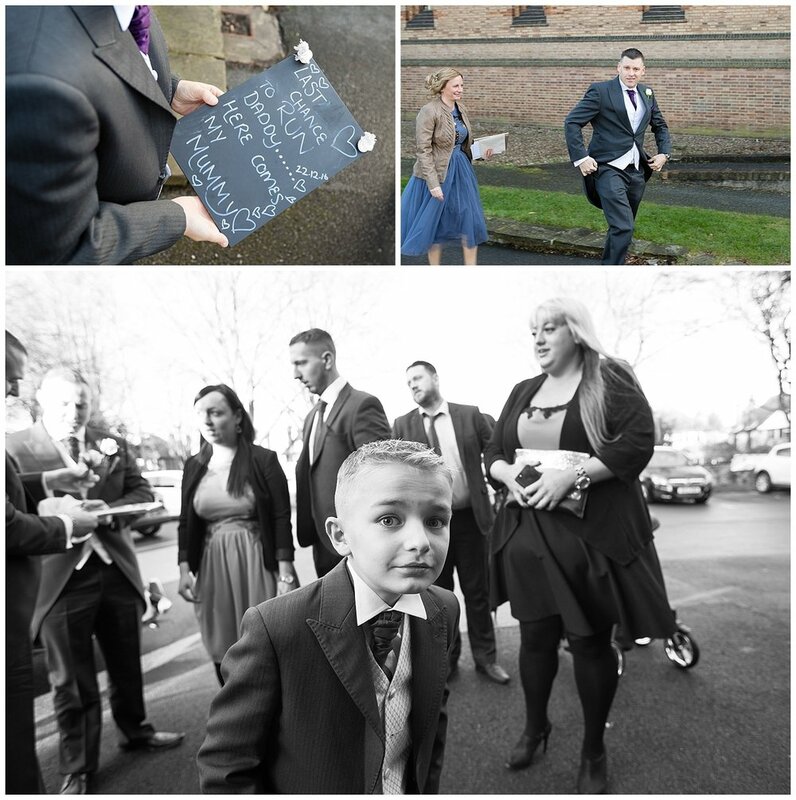 8th April we knocked on the door at Hollie's bridal prep, we were greeted by a extremely nervous and anxious Hollie who looked like she had the weight of the world on her shoulders. 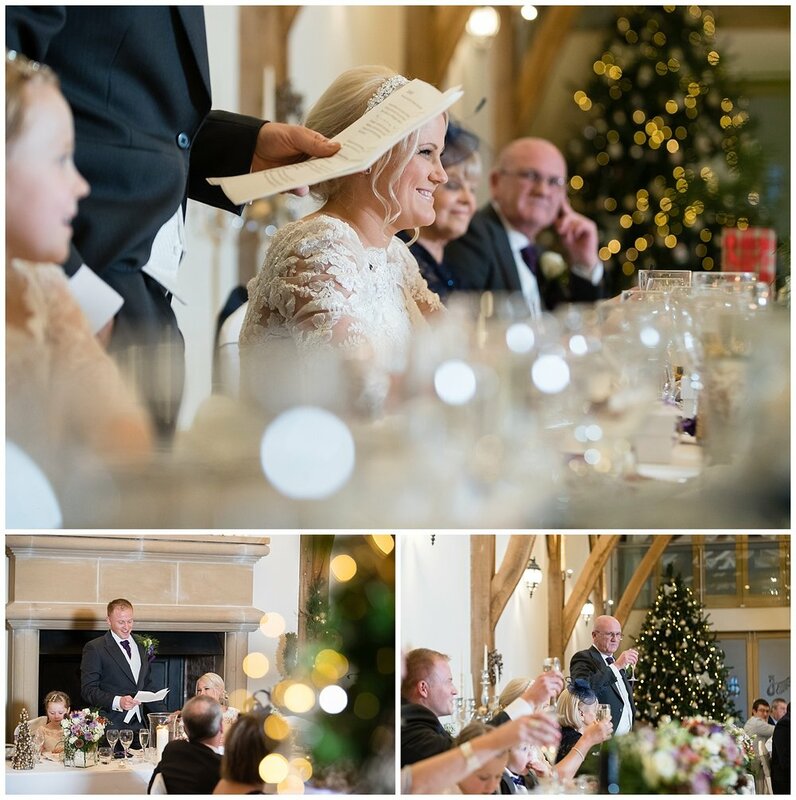 The glasses were clinking and the smiles were out, Hollie and her bridesmaids were in full swing and the atmosphere was electric, everyone was in such a fantastic mood, even Gatsby the cat had to escape the mayhem and get outside for some peace and quiet. Hollie's Mum soon turned up with supplies of fresh sandwiches and more alcohol for the girls, Hollie's sister Harriet was in full swing and now currently taking the alcohol by intravenous drip !! The sun was beating in through their patio door and casting large un sightly shadows so out came the Lastolite scrim to soften that harsh sunshine and gave us some nice soft usable light. 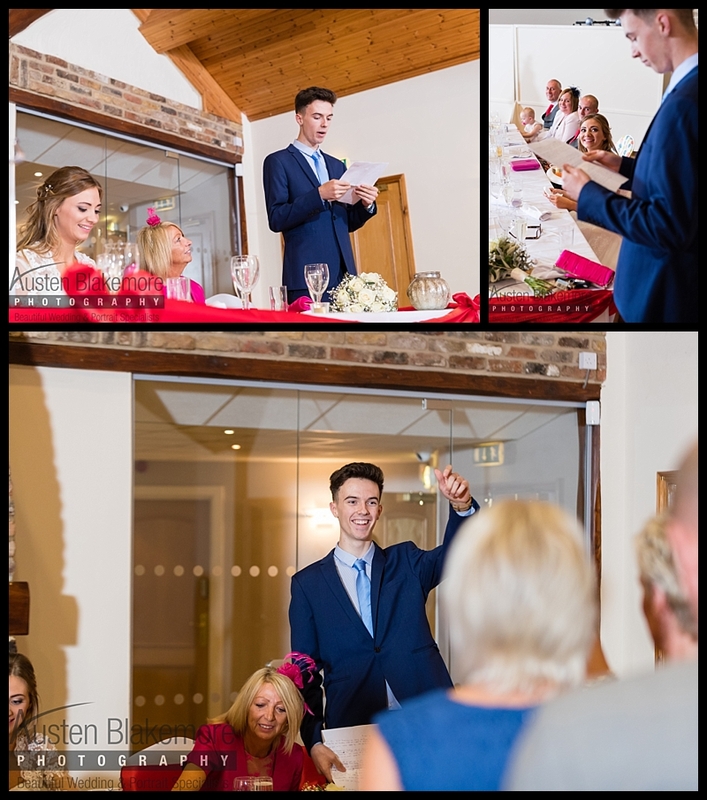 Harry (Groom) sent flowers and a lovely letter to his Bride, Hollie stood reading this out as everyone including myself had a tear in their eyes, the love, passion and emotion in the letter was beautifully written. 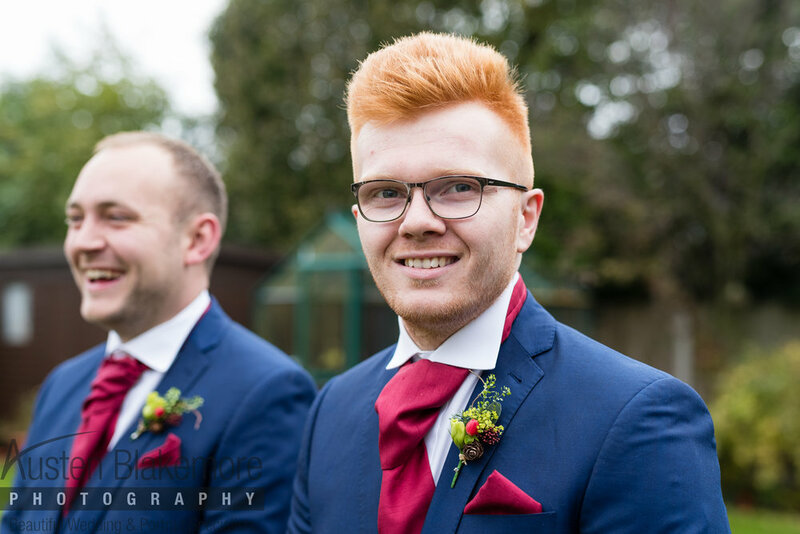 During the bridal prep we got wind that Harry was down the road in the pub with his best men so we decided to grab ours cameras and make a quick dash for the pub and capture 15 minutes worth of images with the Groomsmen. 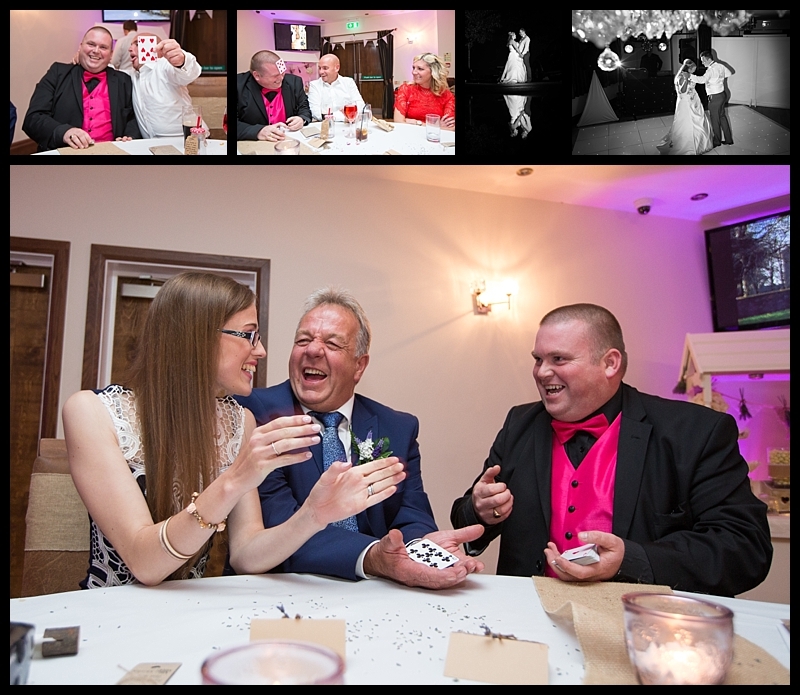 Hollie and Harry said "I do" at Trowel Church and then made their was to Springfield Hall in Sandiacre for their evening reception. 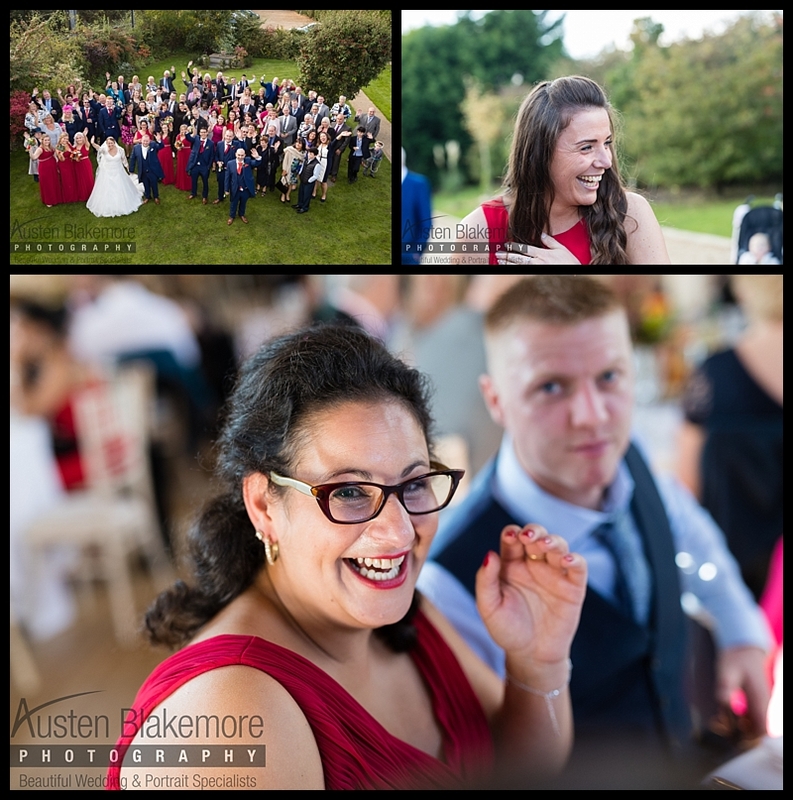 You are such a lovely couple and were an absolute pleasure to work with, Hollie your smile could light a room, thank you so much for choosing Austen Blakemore Photography as your preferred Nottingham Wedding Photographer to capture all those lovely candid moments. 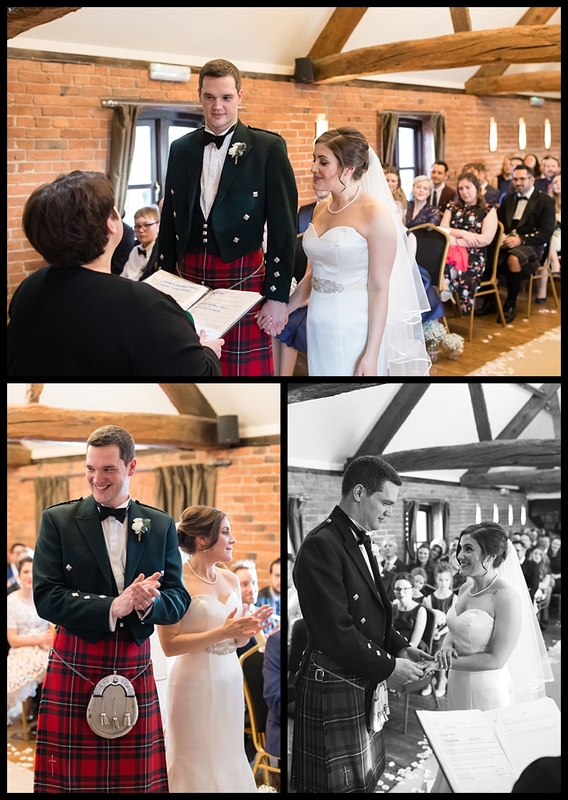 What a way to start February off other than capturing Paige and Connors wedding day on the most sunniest day we've probably had in the UK for probably nearly 4 months. 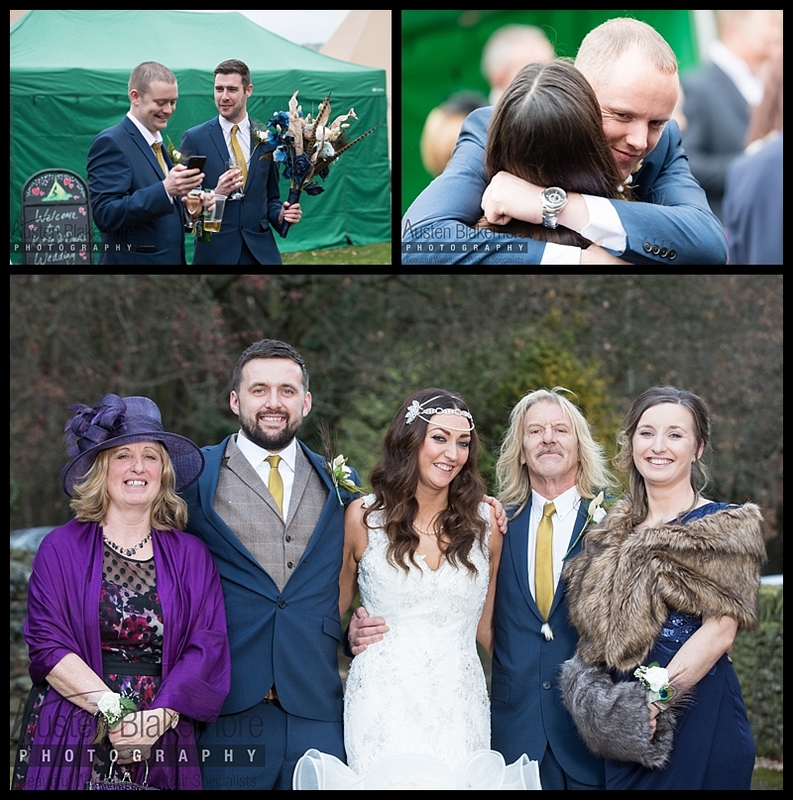 Over 4 years ago I also captured Paige's Dad's wedding so it was nice to catch up with Lynn and Andy on the day as well. 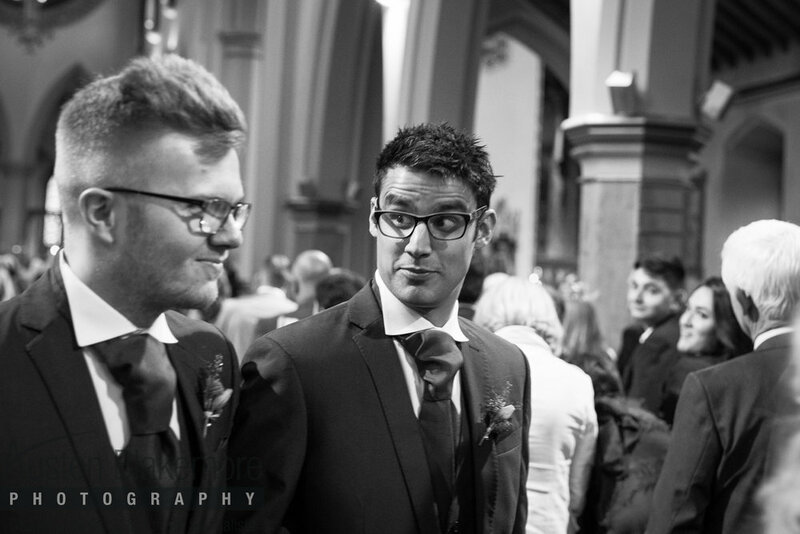 Their ceremony was at All Hallows Church in Nottingham and then on to The Nottinghamshire for their drinks reception and of course the speeches that the Groom and Best men were so looking forward to. 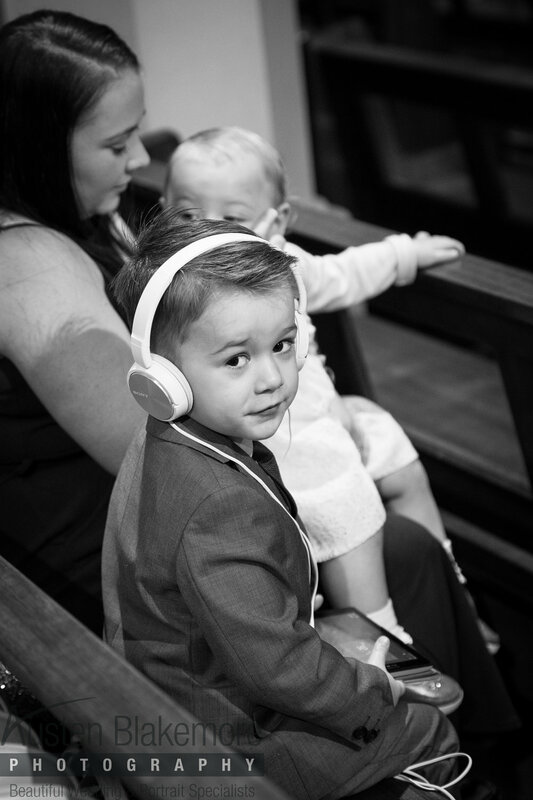 If you are looking for a Nottingham Wedding Photographer who will capture those candid moments and tell the story of your wedding day exactly how it was I would love to hear from you. Last week I visited the girls at Emily's Touch in Mapperley where I was to set up and photograph their corporate headshots for their website and social media presence. This nail bar and beauty salon is huge, there are over 10 people that work here, all the staff were friendly and a pleasure to work with. From start to finish the who shoot took just over one hour, there was very little waiting around as Emily the lady who owns Emily's Touch had booked me in so all their treatments would all fall in nicely with capturing their headshots. If ever you are passing by pop in and have a look round, you can even grab a coffee if you arrive early for your treatment, they even have a hairdressers as well, although no good for me !!!! Thank you Emily and all the staff. Love love loved this wedding !! 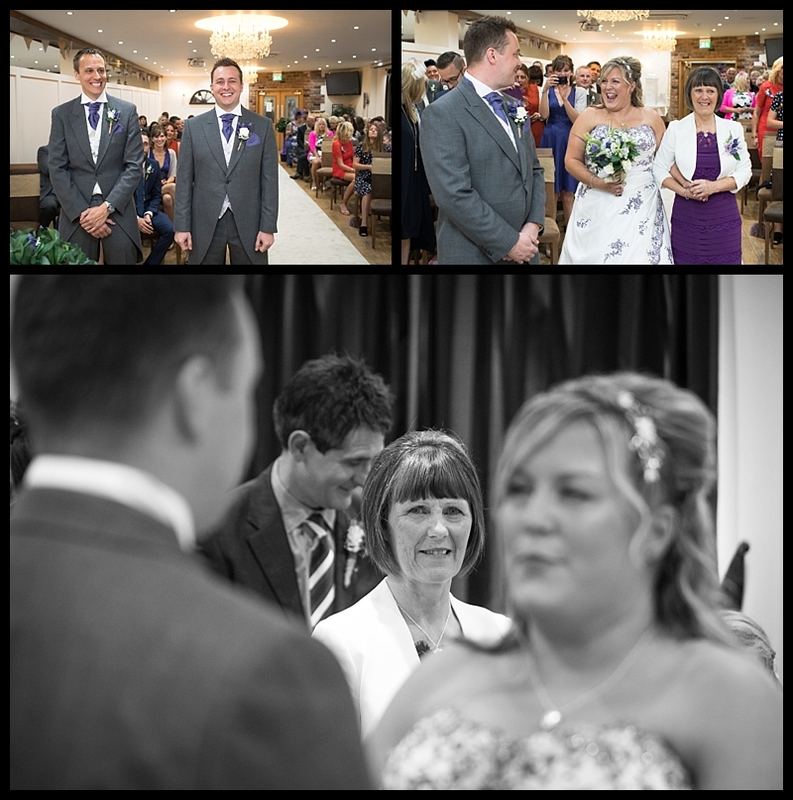 This wedding was absolutely packed full of great candid moments, Sarah and ed were keen for me to capture their wedding day how it was. 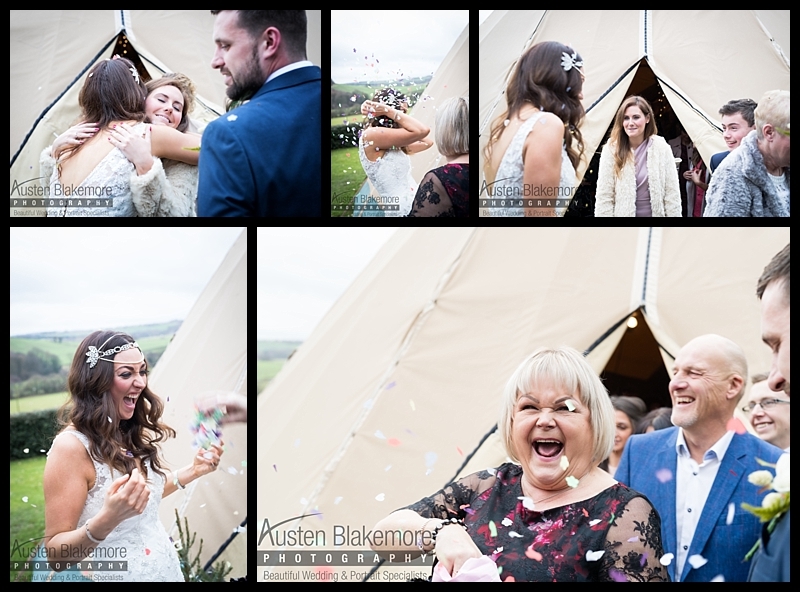 I have captured so many beautiful weddings at Swancar Farm over the past few months and this one was packed full of fantastic candid moments. 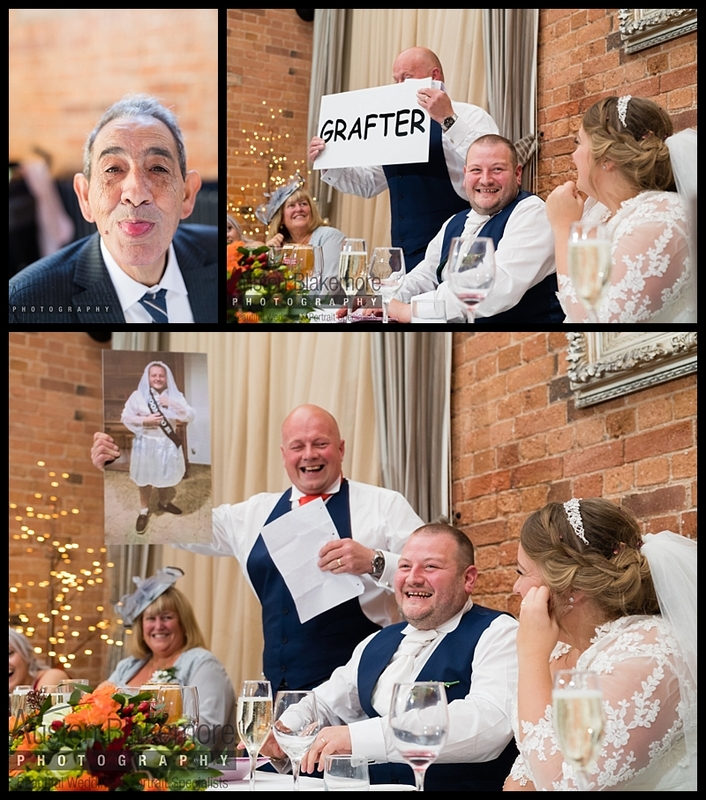 I would like to share with you the story of their wedding day showing purely the candid moments captured (well ok just a few posed images) by a Nottingham Wedding Photographer at this simply stunning venue. Fiona Clark form Chicly Vintage booked in to update her current corporate head shots ready for when her new website goes live in the not to distant future. Feel free to contact me if you need your profile picture updating, maybe you run a company and would like me to set up on location ? Actor Dean Morris Came into the studio to update his profile picture for advertising his acting services and use within his portfolio. I don't shoot many Head Shots but this is something I really enjoyed this and would like to continue to learn the art of this rapidly growing industry. Why were there masked men with guns in the Market Square Nottingham Dean was featured in this during the early hours in Nottingham city centre. 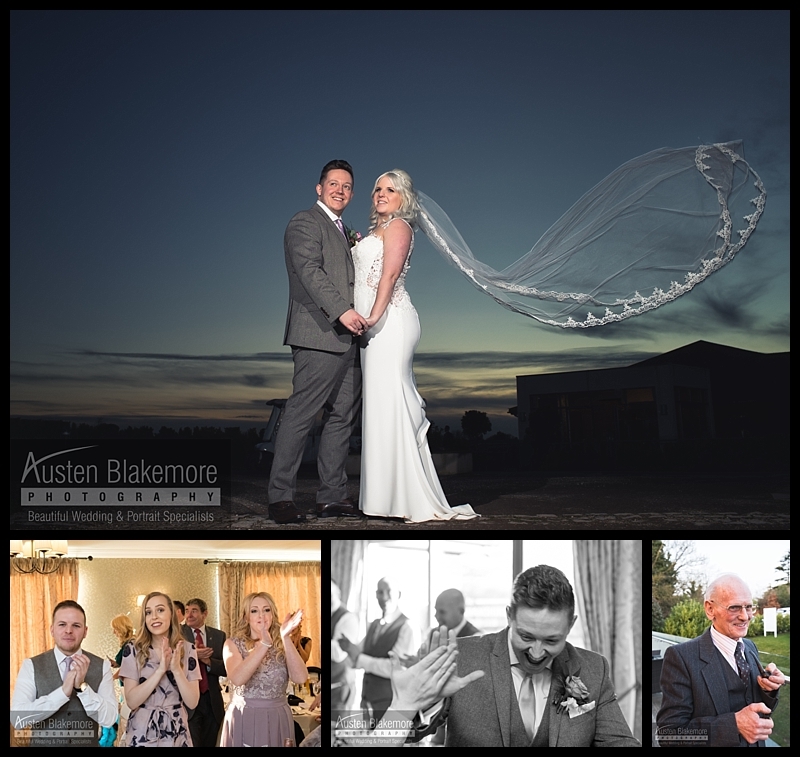 Sharlene and Wayne had an amazing wedding at Swancar Farm, although this wedding isn't recent I wanted to share some of the lovely memories captured at this beautiful wedding venue. 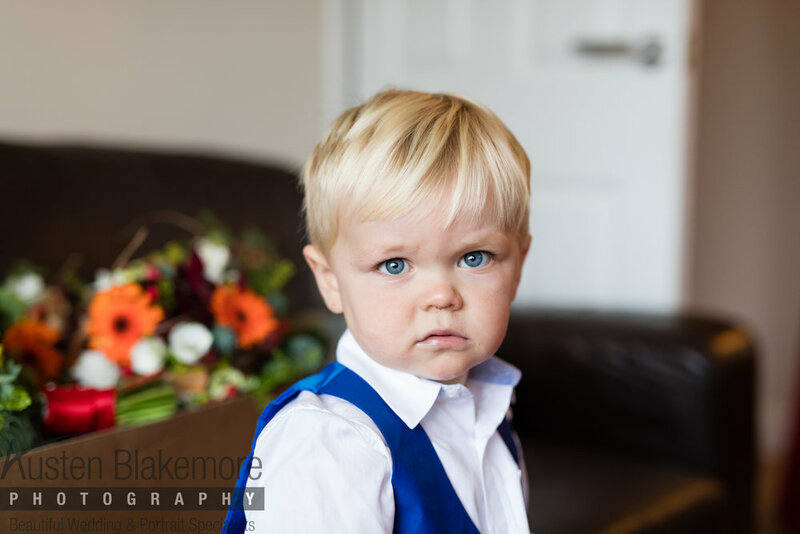 I have known the Scotney family for many years and have captured other member of their family throughout the years, its been a truly fantastic journey and because i've changed my website I have decided to post these image on my new blog. 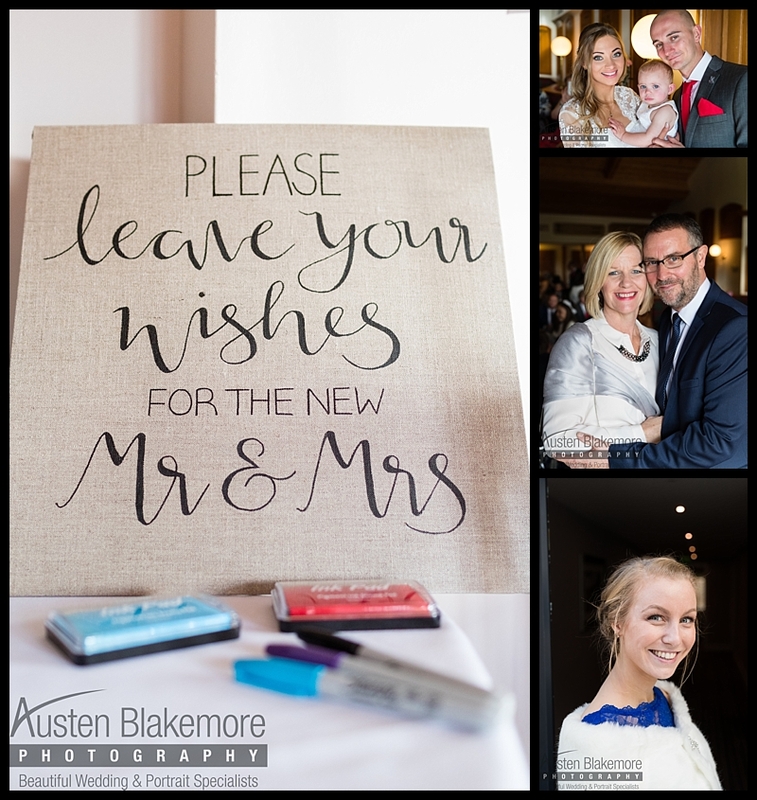 I love being a Nottingham Wedding Photographer and capturing all these lovely memories for my clients, if you are looking for a Photographer to capture your wedding day I would love to hear from you. Want to see another blog post for Swancar farm ? 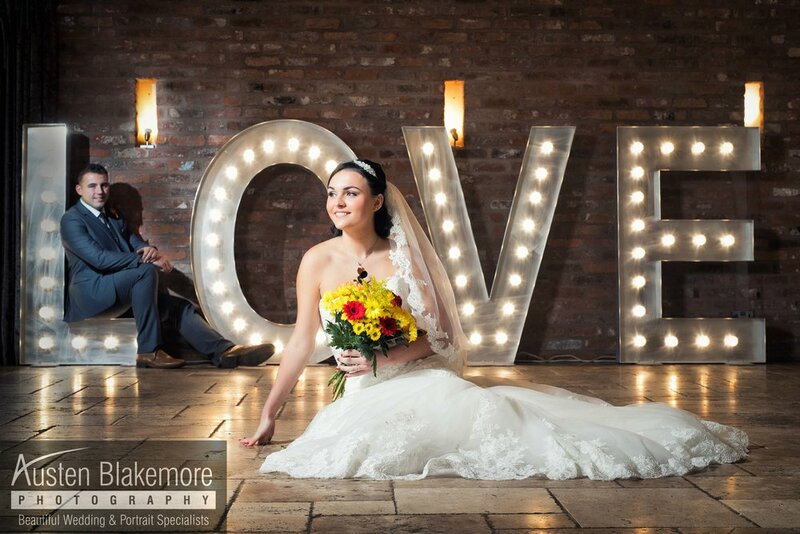 Relaxed was not the word to use for Bride Natalie !! What i'm trying to say is Natalie was so calm, chilled and relaxed that I doubt even aliens landing in the car park would have phased her. I travelled from my Nottingham Portrait Photographer studio in Stapleford to Magnolia park in about 2 and a half hours including stopping for that vital McDonalds breakfast on the way. For Natalie's bridal prep I would arrive at 10am to capture everything on a documentary basis, the ceremony was at 12pm where Natalie would be walked through the ceremony doors and up to Daniel by her Father, the pressure was on as Natalie's Dad was so ill on the day the he would only walk her down the isle and then unfortunately have to U-turn round and leave the ceremony. 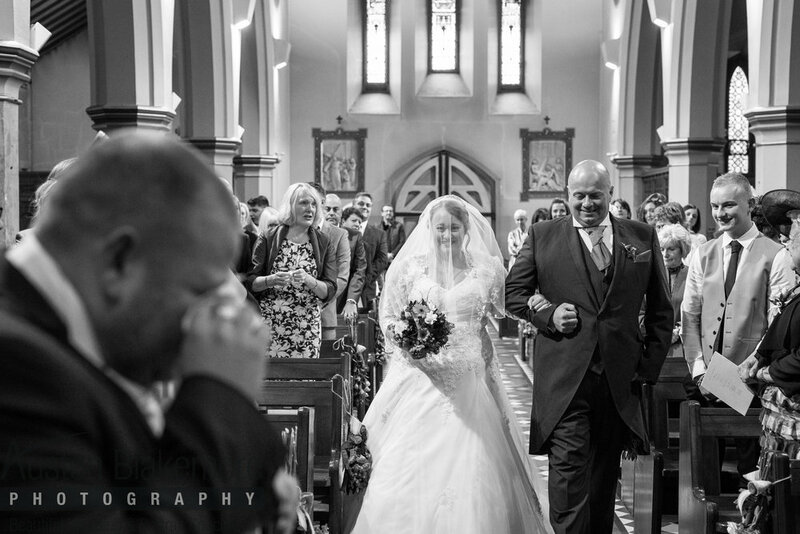 It was crucial that I walked away from the wedding with the most beautiful image of Natalie and her Dad as he walked down the isle, I had a very small window of opportunity to capture this as after all he was only walking a small distance before he was there at the top of the altar. 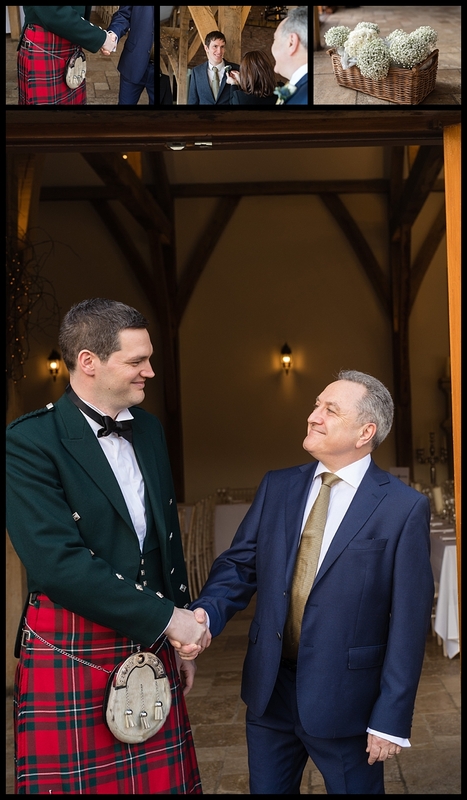 I'm pleased to say I managed to capture a stunning set of images of the both off them walking down the isle and as mentioned above Natalie's Dad left his beautiful daughter with his soon to be Son in-law Daniel. 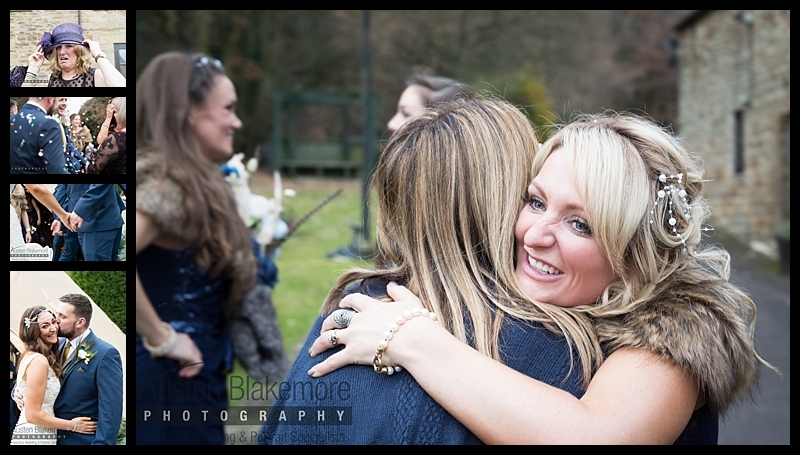 I have photographed at so many luxurious wedding venues and I have to say I really do like this venue, yes the day was cold but the weather was a lovely overcast day allowing guests to make their way outside for the official photos on the group list. Dad made a full recovery and came with his daughter to view the wedding images and live the day on a 150" projection. 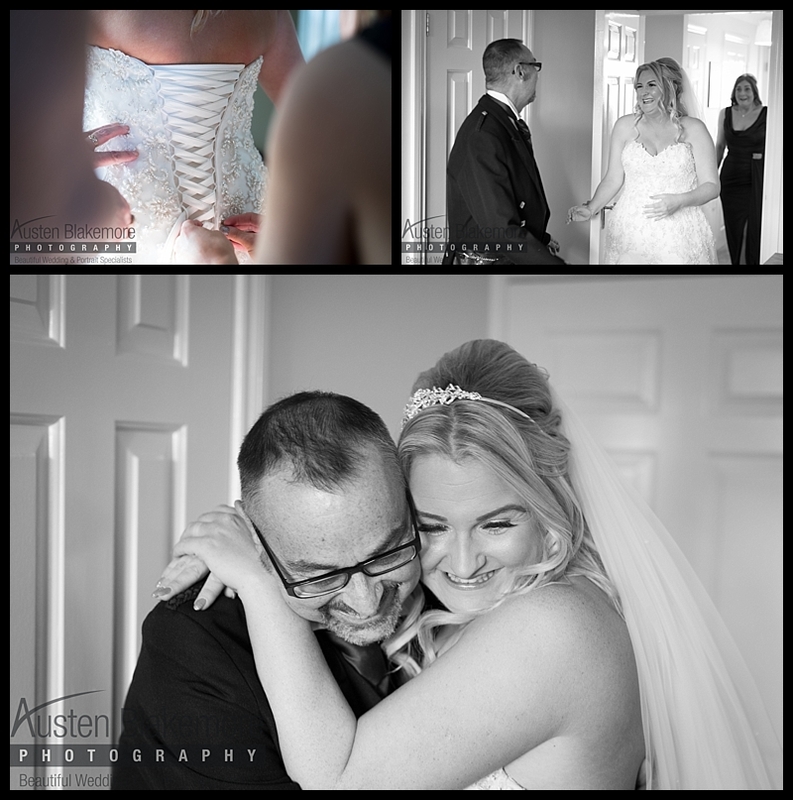 This wedding with Sarah and Ian want captured this year, I was simply looking back at previous weddings I've captured and wanted to shared these images with you to display the more about the way I work and capture those candid moments. The bridal prep started at the Chequers Inn just round the corner from you can actually see the castle as it over looks the Chequers Inn. 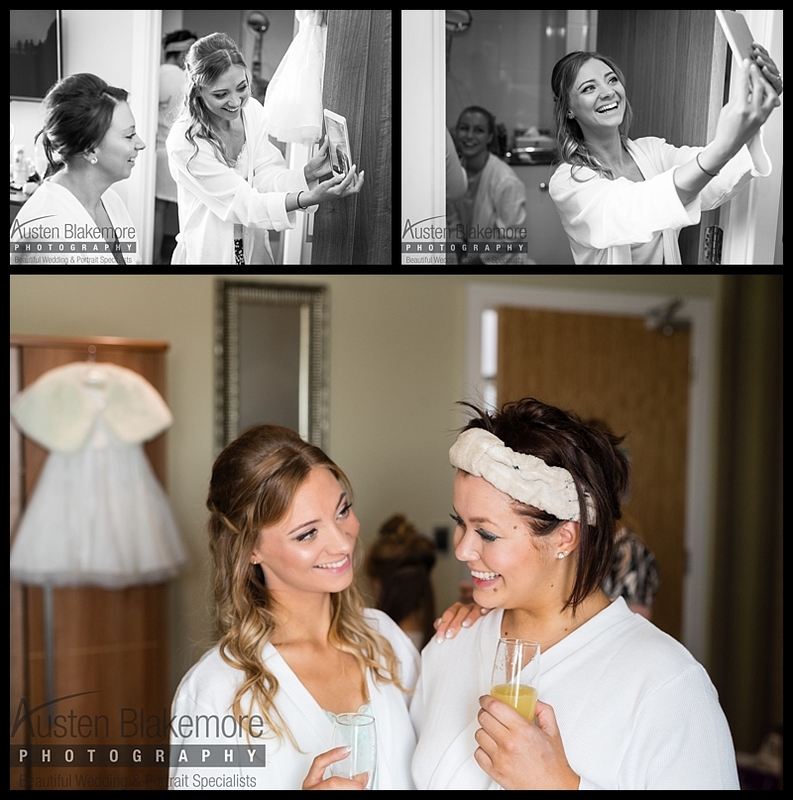 The light in the bridal prep room as absolutely gorgeous, the weather from what I remember was a lovely summers day and the had the stable doors open to keep the lovely breeze blowing through those stable doors. 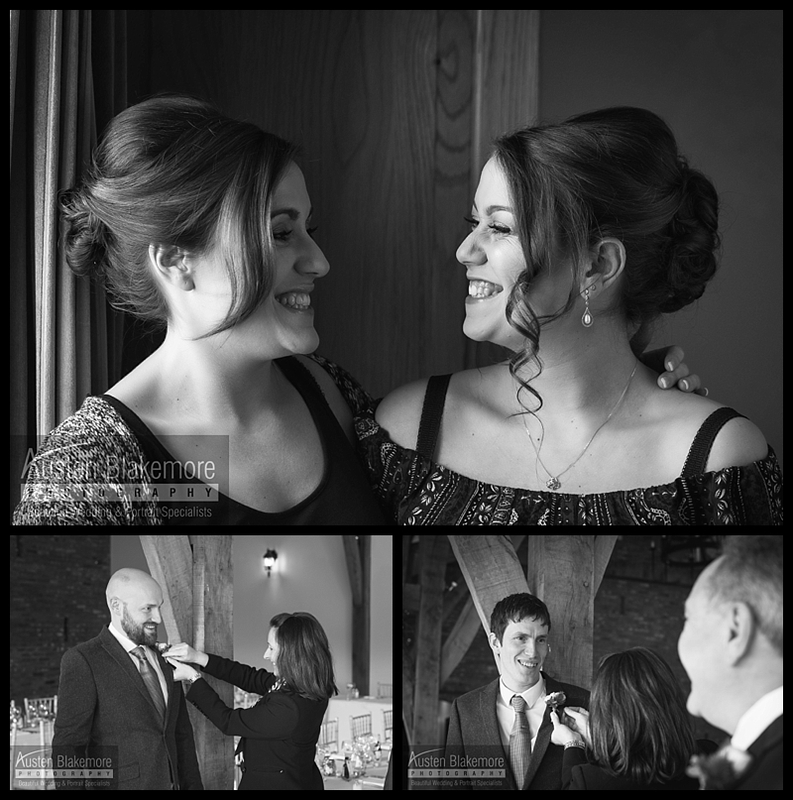 Their wedding at the castle was at 2pm so I started the bridal perp at 11am, below are just a few candid images that caught my eye whilst looking through previous weddings i'd captured. 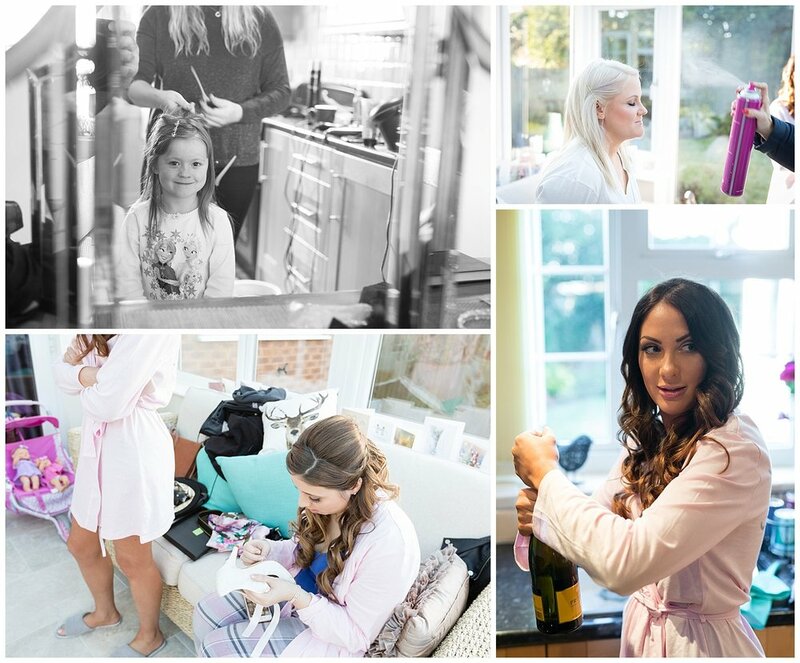 Emily got ready at her parents house with her Daughter, sisters, bridesmaids, parents and of course her can of Carling. 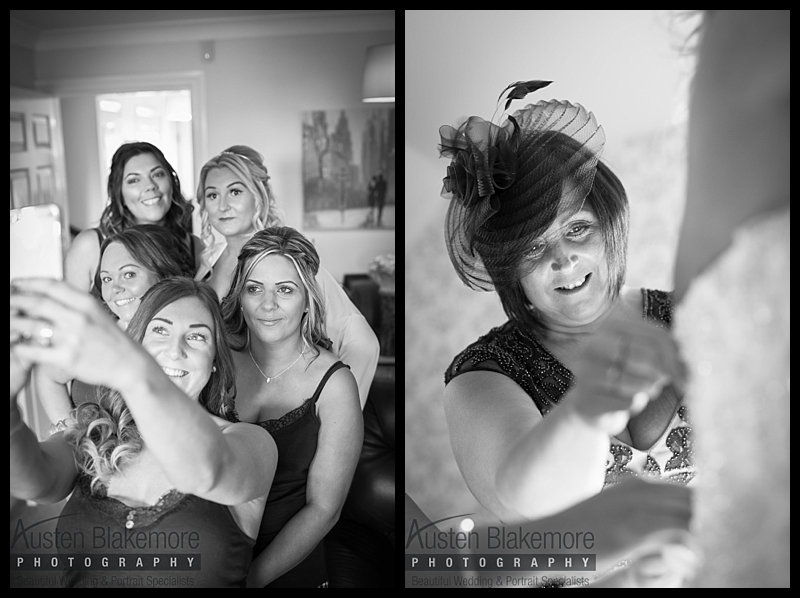 The atmosphere in the house was absolutely electric, it really was such an honour to have captured their wedding day have the opportunity to document so many beautiful memories. 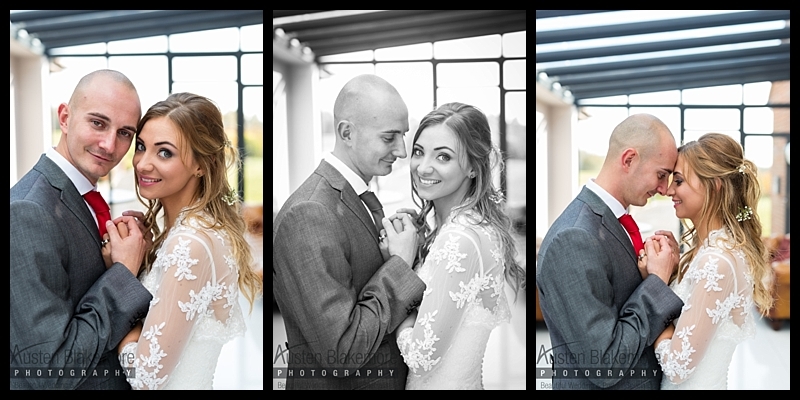 Emily and Chris were very relaxed and gave me a really simple group list and then the task of just doing what I love doing and capture the essence of their wedding, the real raw passion, love and emotion of their wedding day. 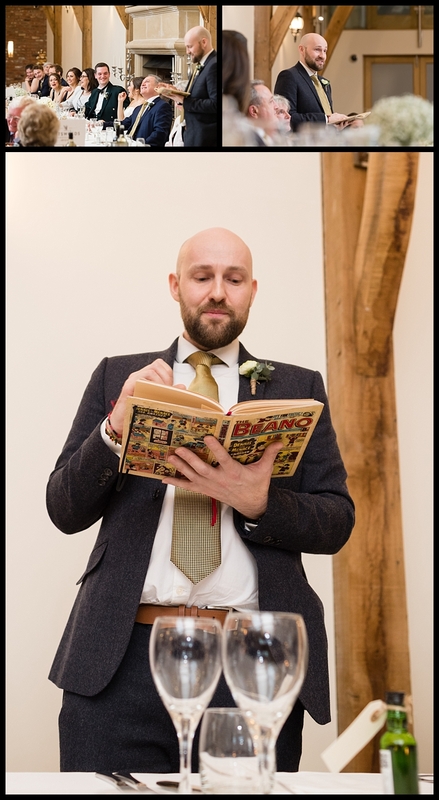 I won't bore you with more text, I will let you re live the wedding how I saw it. As the title says Mr And Mrs Prizio are big into their Ice Cream !!!! 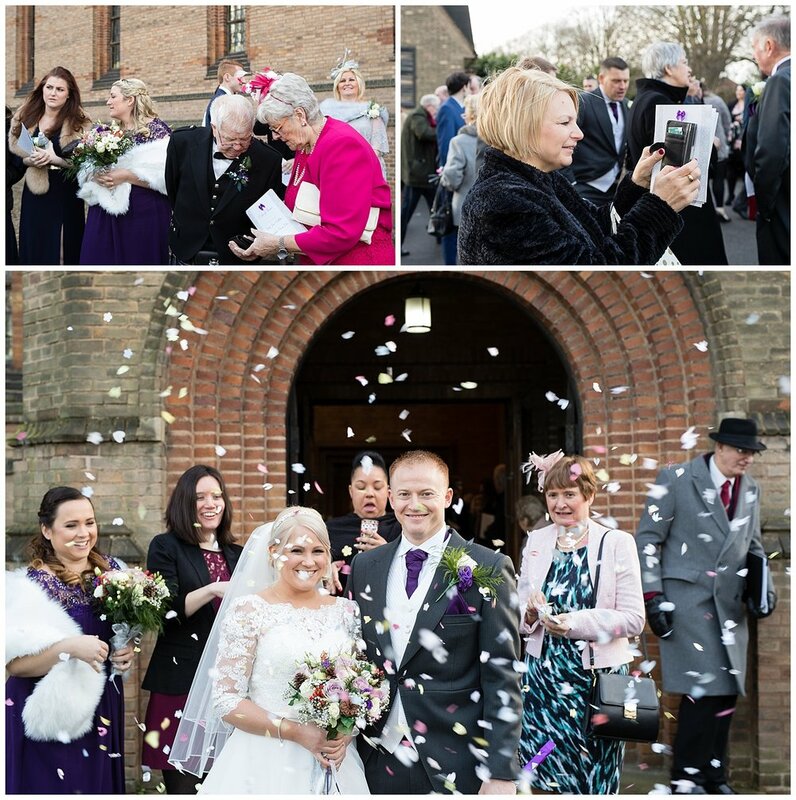 Chantelle And Stefan had their wedding at the stunning St Barnabas Cathedral in Nottingham where they had their 12:00 ceremony, after the ceremony everyone went on to Carriage Hall where we would all be entertained by Paul Grundle the amazing magician. 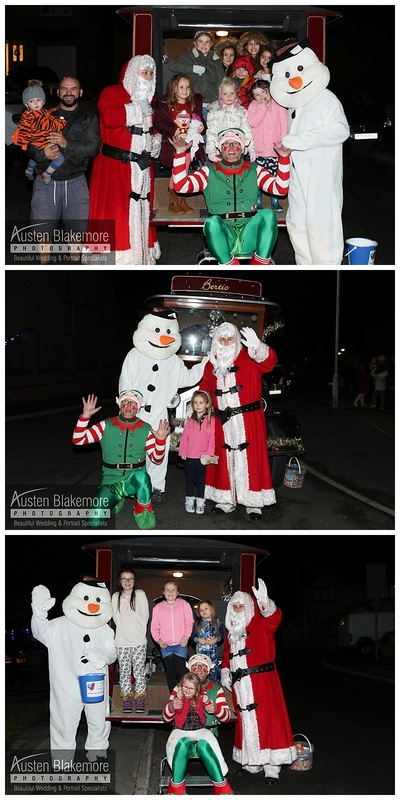 As you can see Mr And Mrs Prizio had a fantastic ice cream van where the guests and of course Mr And Mrs Prizio's lovely puppy Nellie were allowed to help them selves to as much ice cream as anyone could ever eat. Below are just a few images from their wedding day, please fell free to leave any comments in the section below. Katie and Dan's wedding day was held at Katie's family home surrounded by acres and acres of fields with beautiful views that went on as far as the eye could see. 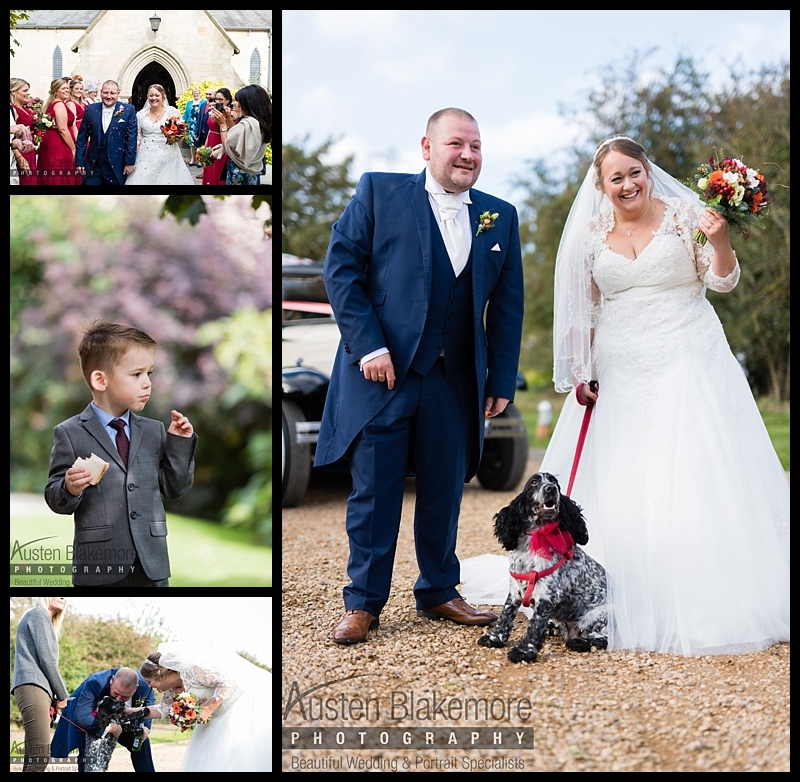 Next to the house was a stunning Tip where guests would congregate and the ceremony would be held, after the ceremony everyone made their way out to the ground where I would capture the candid memories that everyone will treasure. 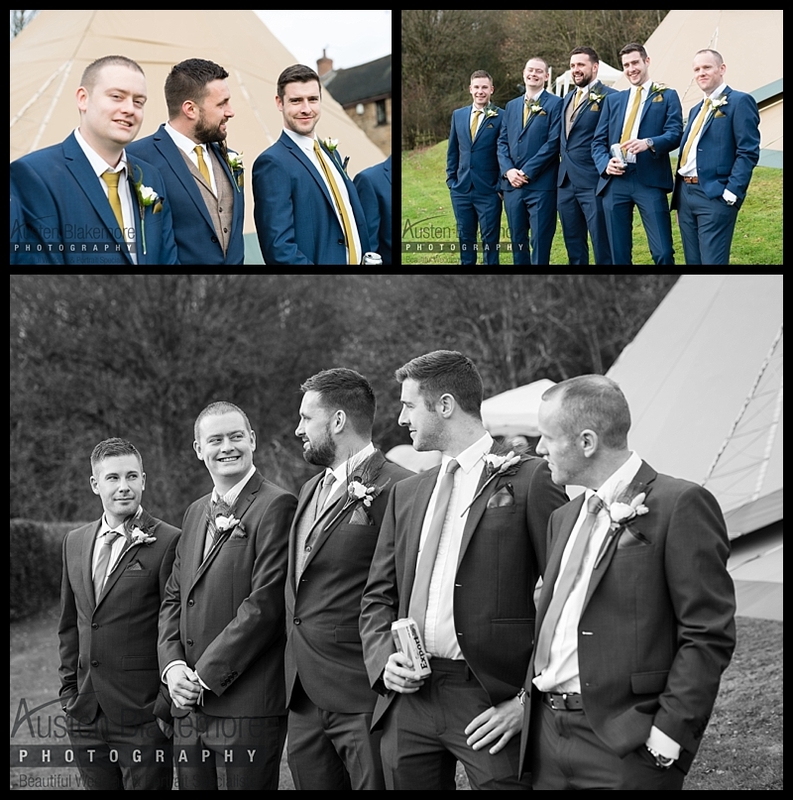 I had approximately 90 minutes to capture the candid images an their required group shots, I spent around 45 minutes captures the candid wedding photography images and the went on to make way way through the group list. 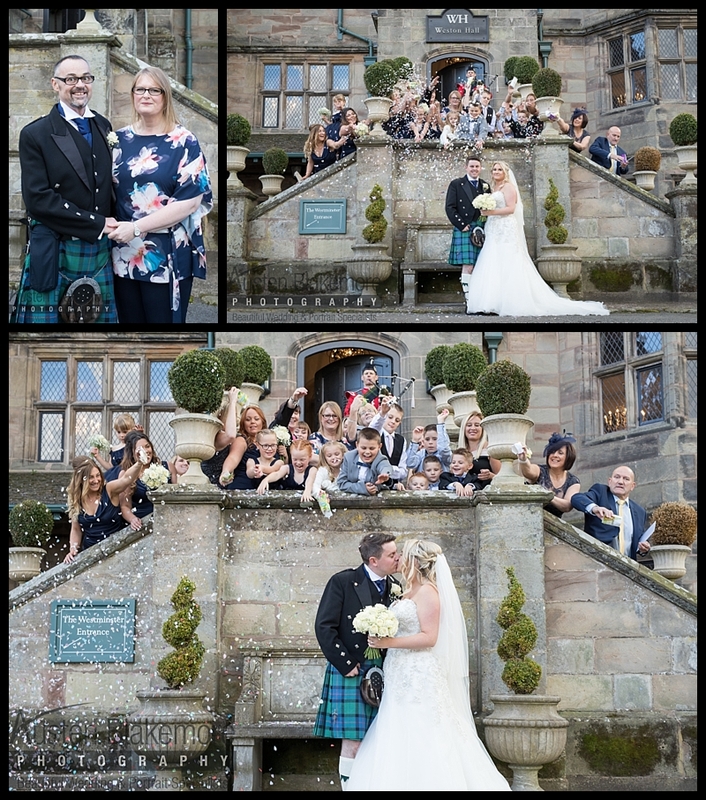 katie and dan were very relaxed and just insisted I capture the wedding day just how it was on the day, the weather was perfect fro the candid photos and group shots, after the last group photo was taken you could see the weather was about to change for the worse. Before the heavens opened I spent about 15 minutes with Katie and Dan capturing their bridal portraits,after capturing the bridal portraits i assured Katie and dan that if the rain cam on full pelt would they like to create a stunning image in the rain "of course they replied"
Please feel free to leave any comments below for Katie and Dan and I hope you like the Wedding photography that was captured, below are just a few to show their wedding day and the great time that was had by all, i'm a Nottingham wedding photographer who travels the Uk capturing wedding memories. I don't blog about every wedding due to the amount of weddings I shoot, maybe I should make a new years resolution to write a blog for every wedding I shoot in 2017 perhaps. 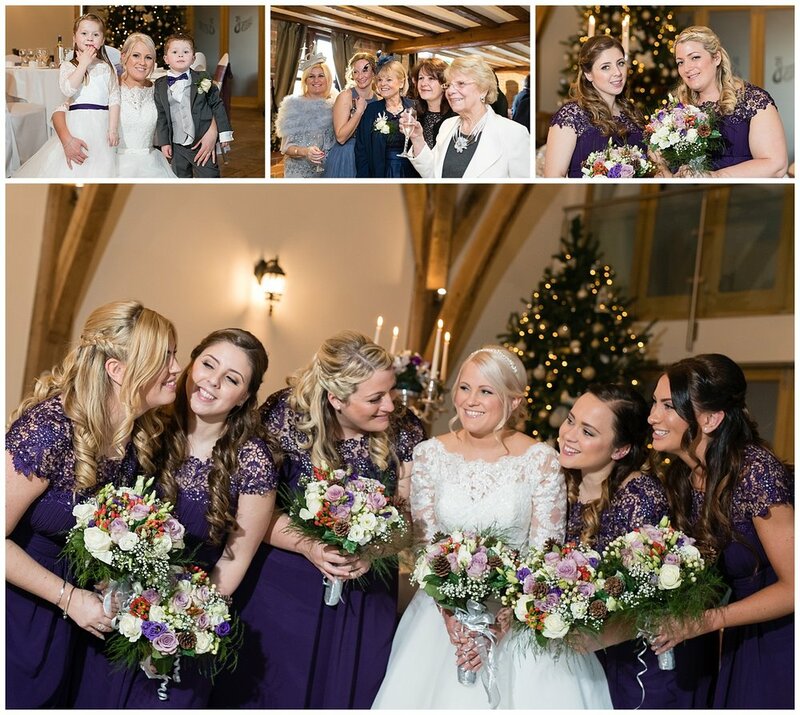 Lisa's bridal prep was very relaxed and everything just flowed beautifully, in the room was the grooms daughter, Lisa's sister and of course her Mum who was on hand to help with making sure the dress was looking its very best. 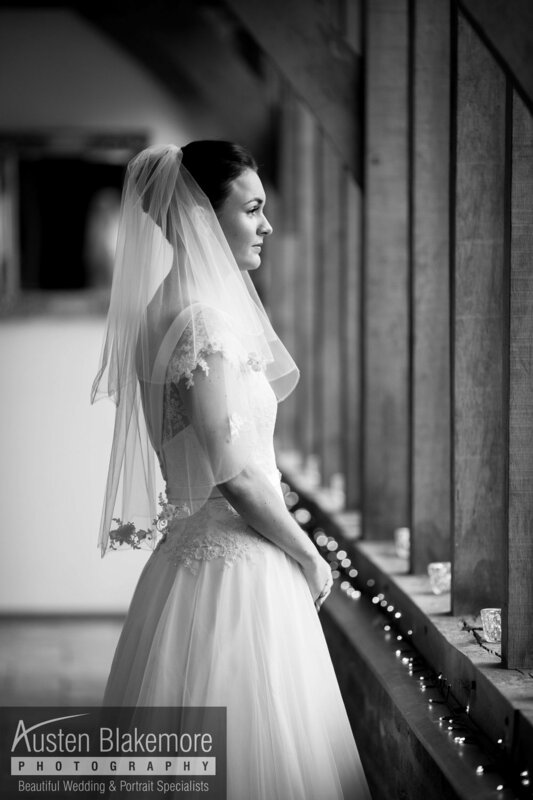 It did rain during the bridal prep but Lisa wasn't phased by this at all and was purely focused on marrying the man of her dreams and seeing his smile as he lay eyes on her walking down the isle. 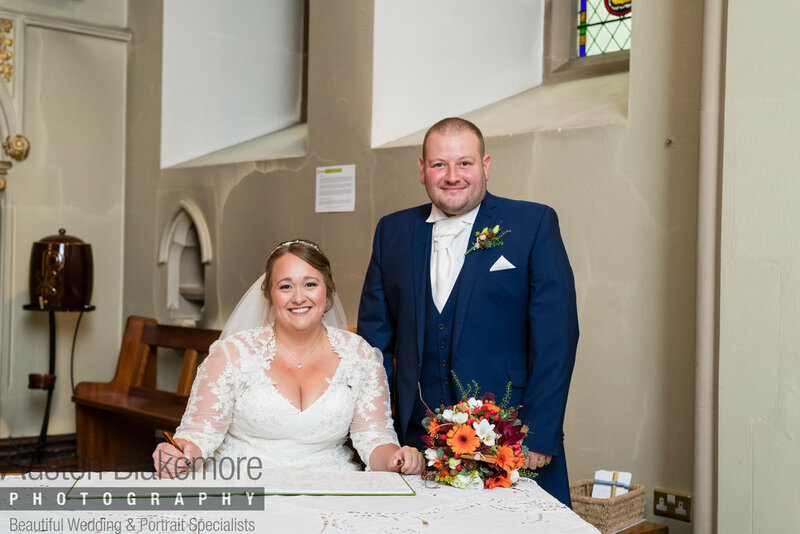 As always there was a fantastic team of staff at the White Hart Inn who were on hand to make sure the day ran smoothly to the timings that Lisa and Chris were expecting. 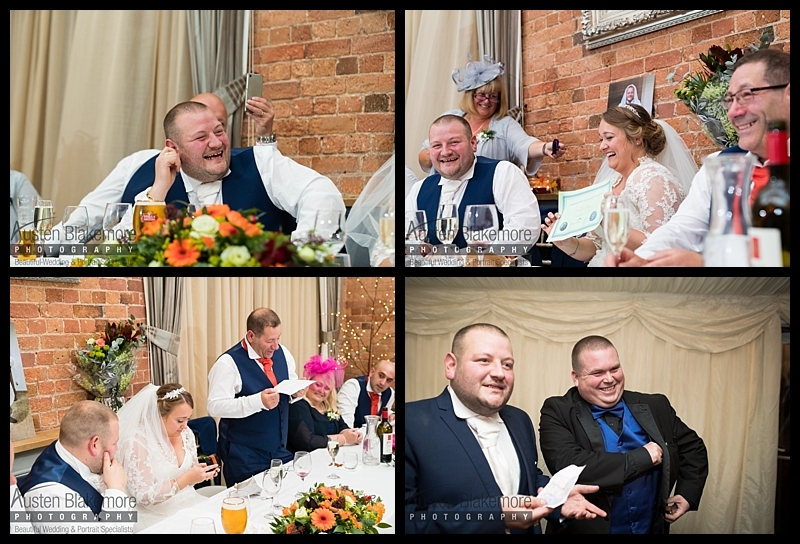 Entertainment was of course supplied by the truly fantastic magician Mr Paul Grundle, Paul what can I say but you were a huge hit on the day, the guests were going crazy over your close up magic act as always. 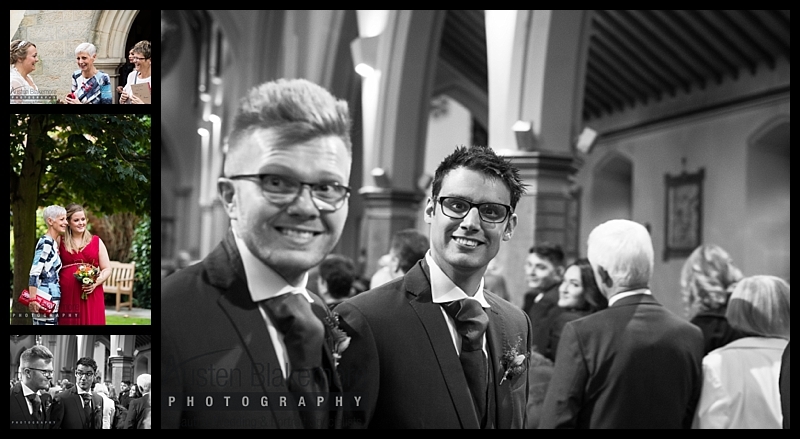 Below are just a few images form their wedding day, I hope you like them as much as I do. 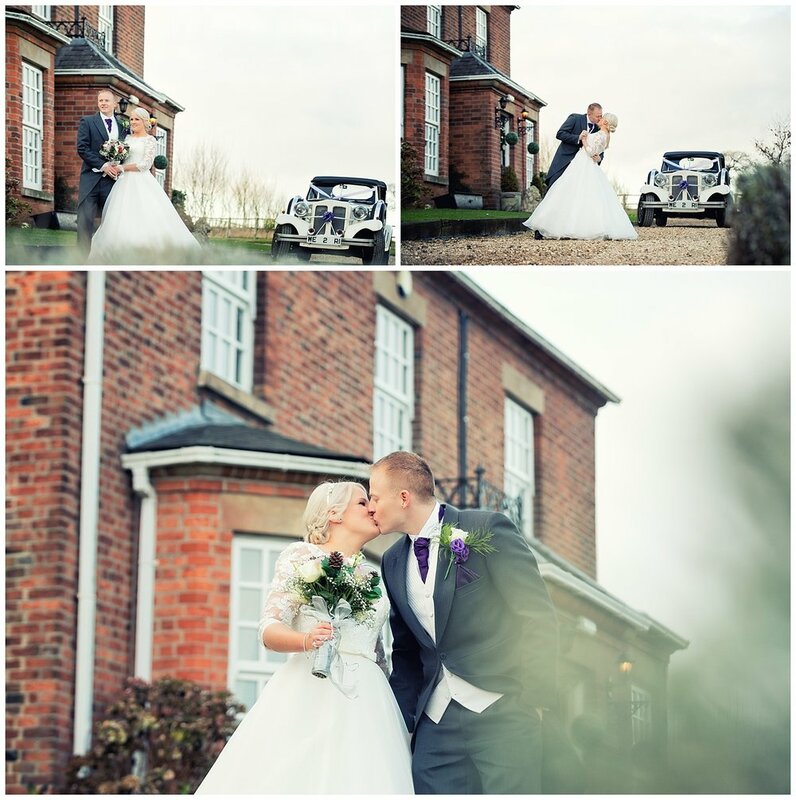 Such a truly amazing wedding to have captured at Weston Hall with Gemma and Calum. Sadly Gemma's Dad (Glenn) passed away shortly after their wedding day, this video has been put together for family and friends to relive the memory of Glenn Doherty. If you are looking for a photographer with a passion to capture beautiful images and seal them in time for ever I would love to hear from you. 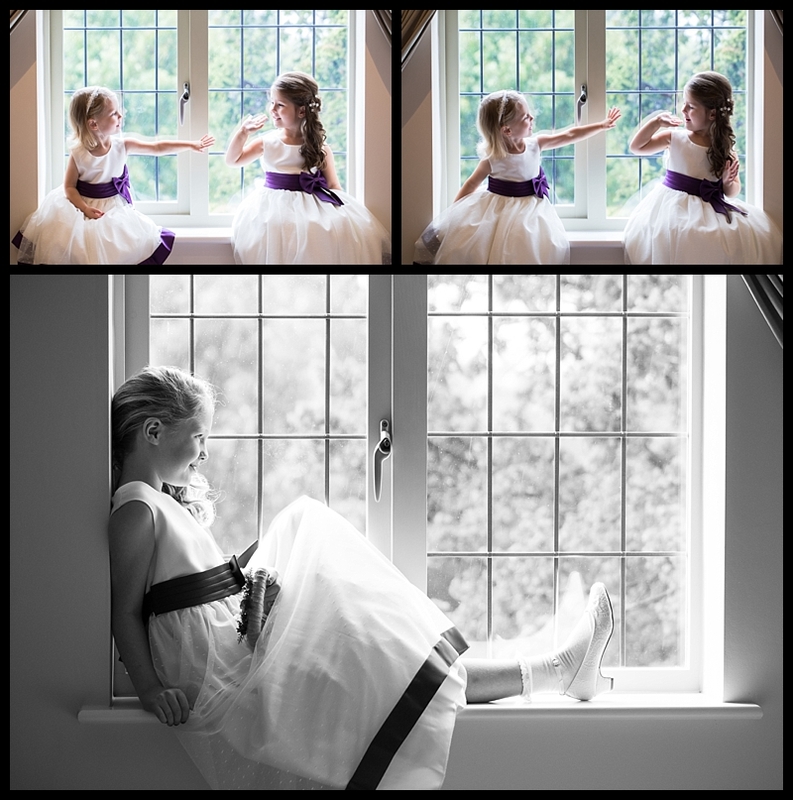 I am a Nottingham Wedding Photographer that will happily capture your wedding day throughout the UK and abroad. It's that time of year again !!! We thought last year was big, this year we blew it out the park, rather than just sticking with Stapleford and surrounding areas we also put Neitherfield and Carlton on the Snowdude map as well. This year we did things a little differently, last year was totally free of charge and was done as light hearted humour but due to the overwhelming demand we decided to up our game this time and take charitable donations that would go to the Nottingham Hospitals Charity all the money collected on 2nd and 3rd December will be delivered there on the 9th of December in person by Snowdude himself where he will visit the Childrens wards bringing some Christmas fun and joy. Both nights we set off at 5pm, on Friday we finished at 9pm, however the Saturday we finished at 11pm as we had a few un expected stops along the way like Hooters and Inn For A Penny in Carlton for a pint. Huge thank you to everyone who made this possible as this couldn't have been done without your love, help and support. Please take your time to read below the names of the people who made this possible. Gary Jackson (Santa) What can I say I wouldn't want to do this with anyone else but you as Santa. Emma Jackson (Santa's wife) Emma i'm so glad I met you both when I photographed your wedding, you are an amazing wife to Gary and he speaks so highly of you. Kerri Blakemore (My wife) You've put up with so much stress from me while I've been arranging this than you for being a Snowdudette of a wife. 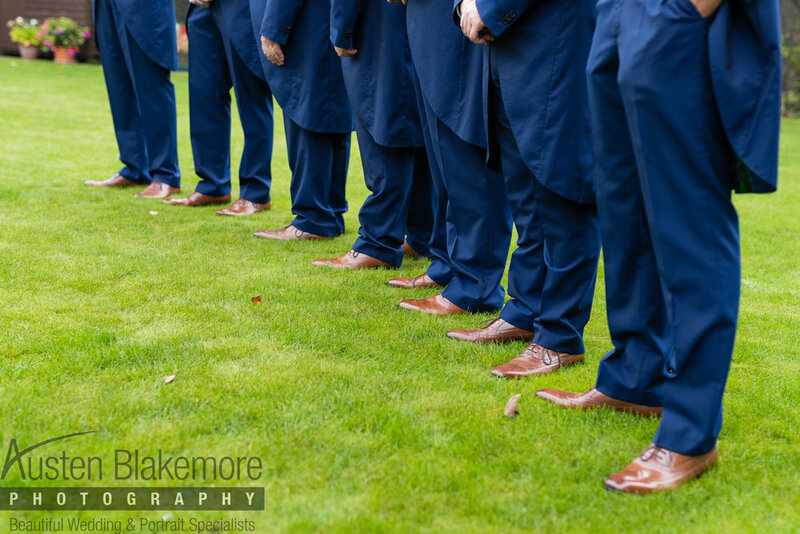 Paul Taylor (Elf) It's been a fast actioned rollercoaster of a journey since I met you and your lovely wife we've worked together so much, Karen obviously wasn't your wife when we first met but she is since I photographed your lovely wedding. Karen Taylor (Pauls wife) What can I say Karen....."how on earth do you put up with him" only joking thank you for everything you do and may it long continue. If you would like to see the live video's from Friday or Saturday please either search for #snowdude on Facebook or follow this Facebook link to my page. Thank you so much and I will update with the total raised when Sam at Nottingham Children's Hospital has spent a few hours counting it. 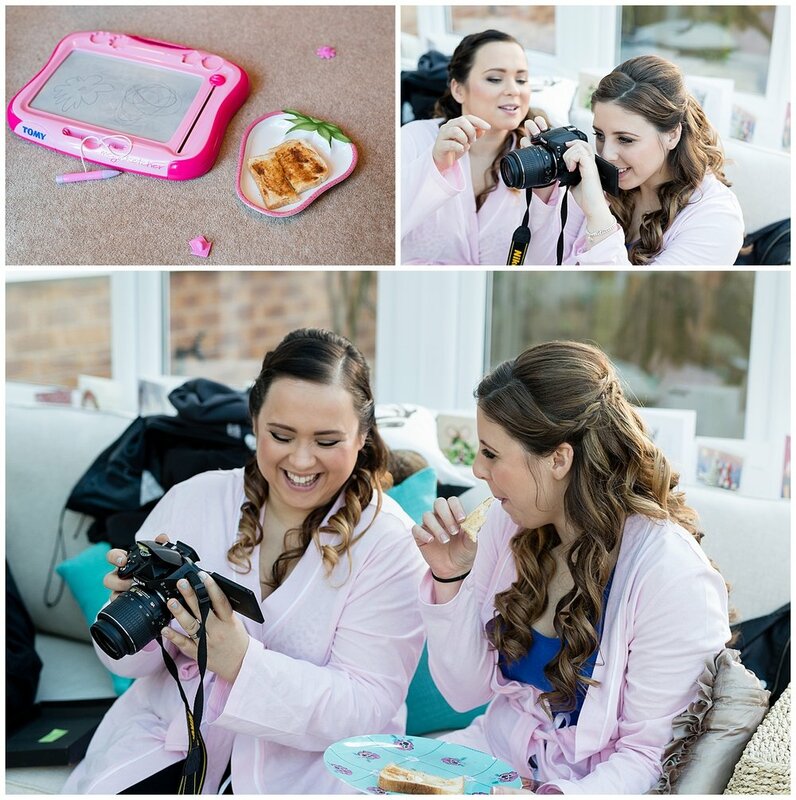 I'm a full time professional wedding photographer and like many other professional photographers my kit isn't wrapped up in cotton wool and treated with kid gloves, it can often be seen placed on gravel or in a flower bed to the side of me whilst I interact with my bride and groom during a group photos. As you can imagine when your shooting 40+ weddings a year this can take its toll on your equipment, my cameras when I come to trade them in often look like I was the photographer in a Bagdhad war zone, the result in this is my investment is worth somewhat less than what it would be had I stayed away from that gravel path or flower bed. When I opened the packaging I was quite surprised how flimsy it felt so if i'm honest I didn't hold out much chance of this lasting a full days wedding photography. How wrong was I !!!! 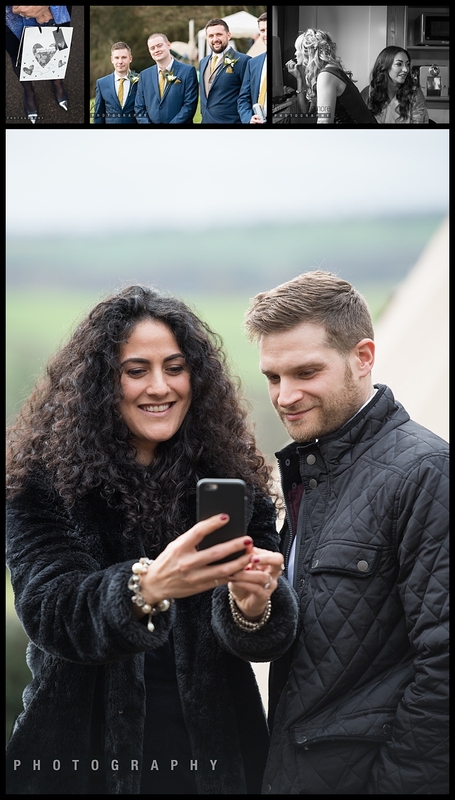 So I'm now over 5 weddings into using the Easycover camera case and I love it, yes its made the camera that little bit bigger in my hands but it feels nice to hold and being rubber my hands grip to it nicely. I also must point out that along with this I do also use the Spider Holster and they both work and fit really well together, the housing is self fits like a glove and is an exact match to the actual 1dx Mark ii body its self, so much so I didn't even think it would fit it was that precise !! The buttons all line up perfectly and they are clearly labeled up so if you need to glance at your camera you can clearly see the name of the button you are about to engage. I honestly can't fault this and wish i'd brought one for every other camera I have previously purchased, the result would probably mean I'd have a few more extra quid to spend on those all important lenses. Yesterday I had the pleasure of working with the team at Dream Wedding Dress in the stunning grounds of Swancar Farm wedding venue based in Trowell. 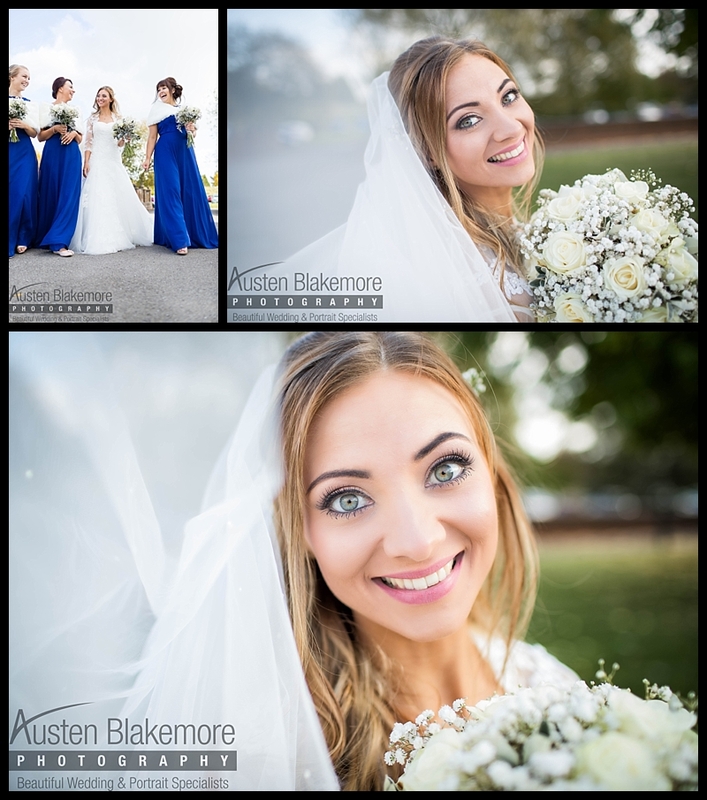 Makeup was supplied by Lisa at Appearance Hair And Makeup who are situated just a few miles down the road from this beautiful wedding venue. 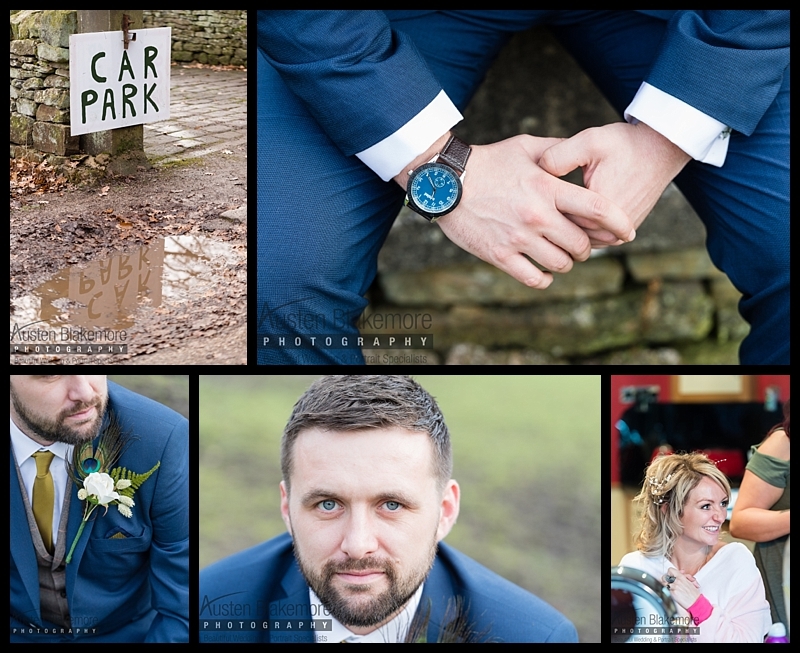 Our model was Yenna and our Groom was Tom, the photoshoot commenced at 10:30am and our last image was taken just after 4pm, with such a great team to work with we had plenty of fun along the way. 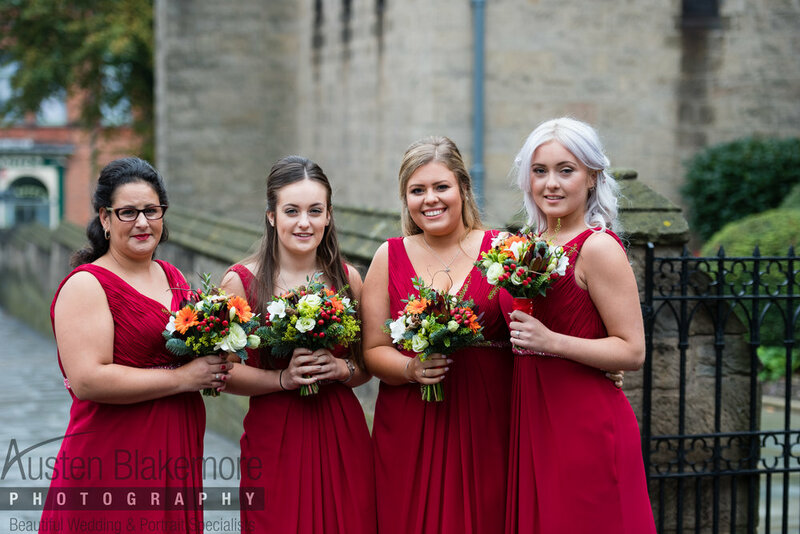 Here are just a few images taken on the day, all dresses supplied can be purchased from Dream Wedding dress who are at the top of Canning Circus just a 1 minute drive from Nottingham city centre. 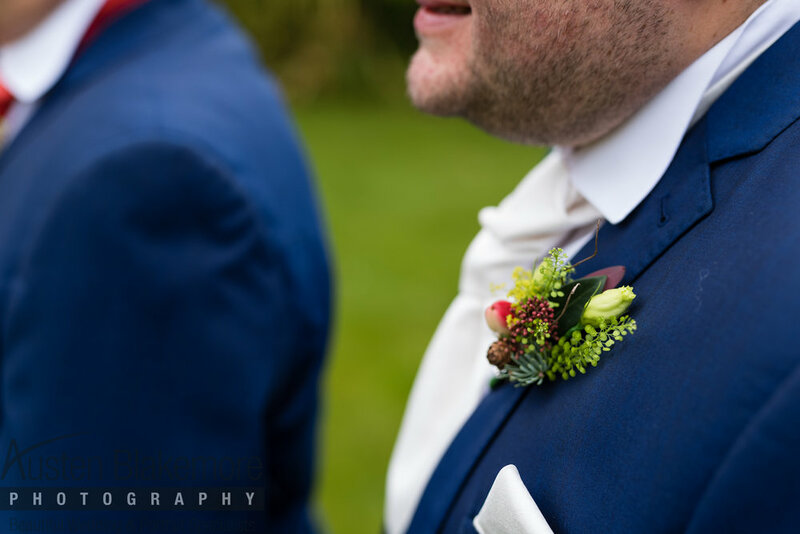 I always love to be a Nottingham Wedding photographer at Swancar farm as the results we achieve are nothing but fantastic. Thank you so much to Tracy and her team of truly professional staff for all their help on the day and supplying us with a lovely canvas to work with. Yesterday 18/10/16 I went to Holme Pierrepont watersports centre, armed with a 70-200 f/2.8 and a 400mm f/2.8 lens I set about capturing these images. It was cold, VERY wet but and the light was falling off quicker than hot butter on a knife. 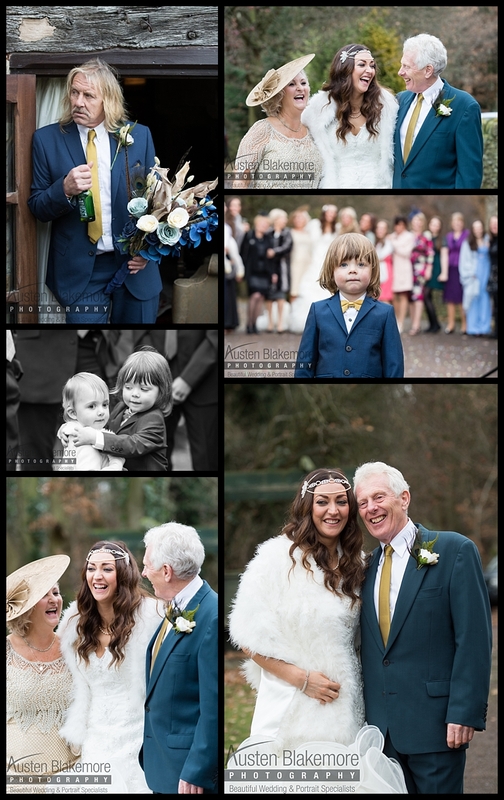 Here are just a few of the images I captured yesterday.